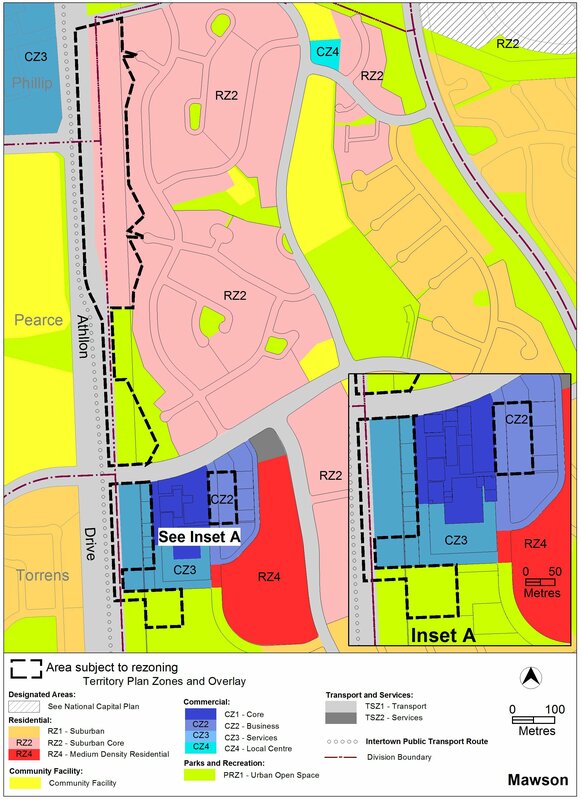 Have your say on draft variations to the Territory Plan. These variations will help to implement recommendations from the Woden Town Centre Master Plan and Mawson Group Centre Master Plan. 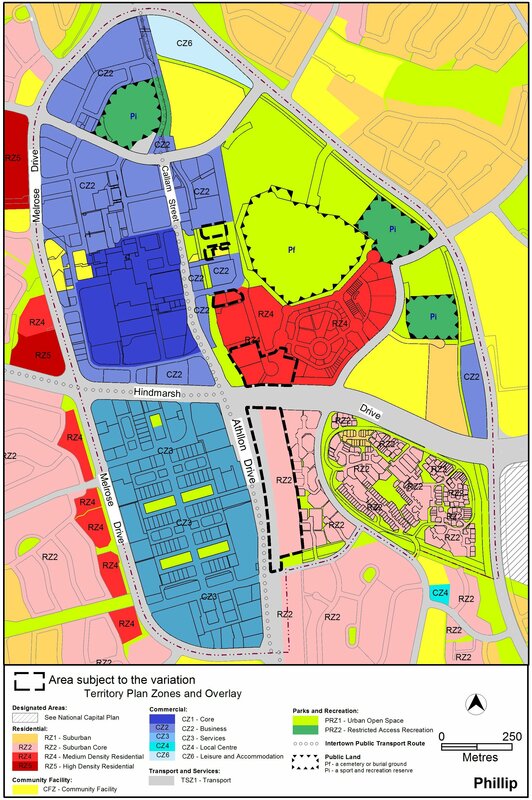 In November 2015, the ACT Government released master plans for the Woden town centre and Mawson centre that recommended planning changes to boost liveability, drive urban renewal and improve the centres’ viability in years to come. The master plans went through an extensive community engagement process. The plans included recommendations to rezone the part of the Athllon Drive corridor between the centres to allow housing, open space and transport. The Government has now developed draft variations to the Territory Plan to formally implement the plans’ recommendations into the ACT's planning framework. 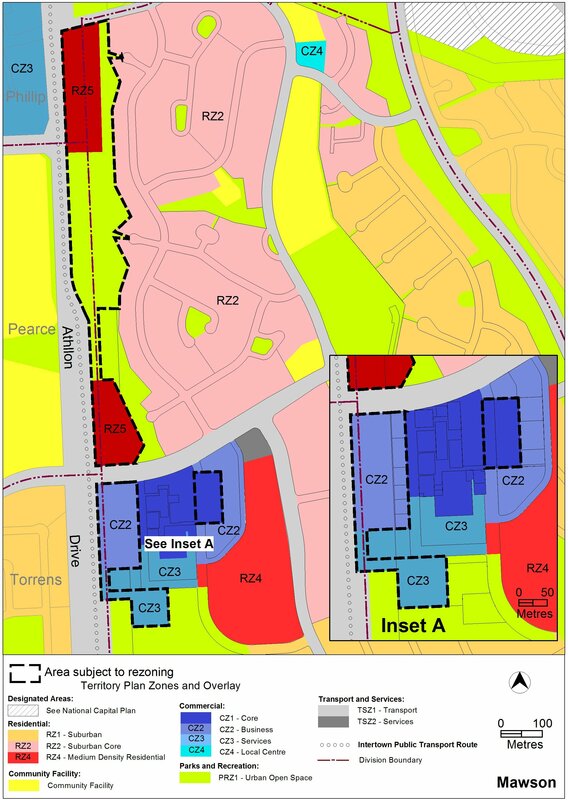 The variations make zone changes and update the precinct codes to encourage development. 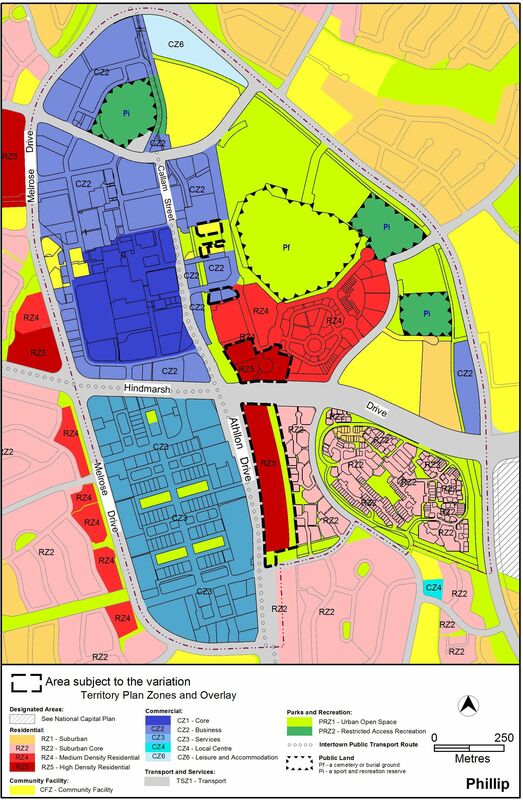 Among other things, the zone changes will allow more residences to be built, including medium and high density housing that gives residents more housing choice and will meet the needs of older people wishing to downsize but remain in their area and young people seeking an urban lifestyle. Further diversify land uses to encourage more economic activity and residential development. Improve the layout of streets, blocks and public spaces to make them easier to use. Develop a strong community by allowing more residences, bringing the community hub further into the centre. Improve access to and within the centre for pedestrians and cyclists. Encourage buildings that help the streets and open spaces be more friendly, safe and welcoming. Establish five distinct precincts to help the centre evolve as needs and demands change. 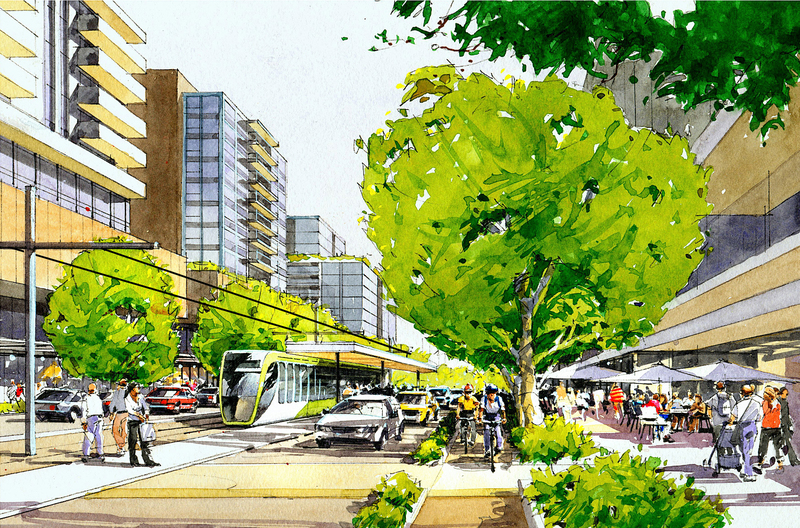 Establish a new public transport precinct to cater for the centre’s growing role as a public transport hub. Allow residential, commercial, retail, entertainment and service uses to support the centre’s economy. Encourage day and night activity in the centre. Ensure the centre is easy to get to by foot, bicycle, public transport and car. Create a people-friendly environment for everyone, no matter their age or ability. You can complete a survey here. The Environment, Planning and Sustainable Development Directorate will consider all comments when finalising the Territory Plan variations. Consultation reports will document the comments and how they have been addressed. The variations will be recommended to the Minister for Planning and Land Development, who will have the option of referring them to the Planning and Urban Renewal Standing Committee of the Legislative Assembly for review. The final variations will be tabled in the Legislative Assembly. Should building heights be capped in Woden? Is solar access to the Woden Town Square important to you? ACT Government to consider community engagement report and recommendations 2017. Copies of written comments will be made available for public inspection for no less than 15 working days starting 10 working days after the closing date for comment.The comments will be available at EPSDD’s customer service centre in Dickson and may be published on EPSDD’s website.Comments made available will not include personal contact details unless you request otherwise. For further information, see the draft variation.